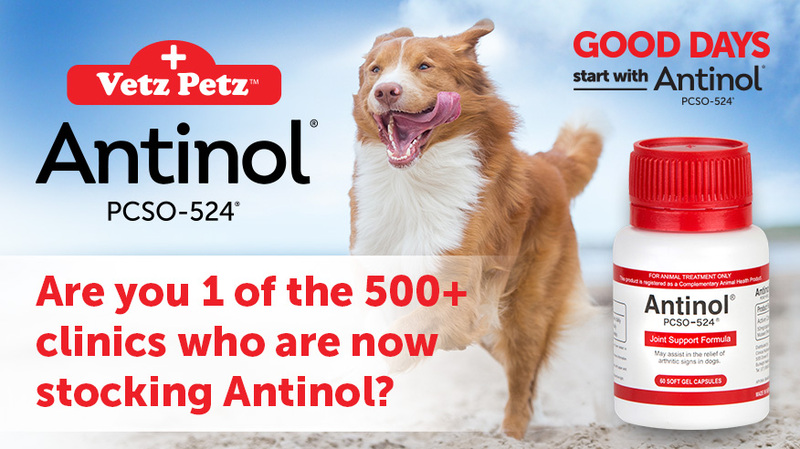 In just over five months, Antinol® PCSO-524® has become one of the biggest selling products to assist in the relief of arthritic signs in dogs, and we would like to thank you for including Antinol® PCSO-524® as part of your protocol for the multimodal management of arthritis. 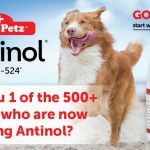 Social media and the official website (www.antinol.com.au) have been buzzing with stories about Antinol® PCSO-524® and, to help pet owners locate veterinarians selling Antinol® PCSO-524®, we have included your practice on the list of stockists. At present, this list is being updated every two weeks and includes postcode referencing to make it even easier to find you. Insights from overseas markets with Antinol® clearly demonstrate that providing your clients with an online home delivery option dramatically increases long-term compliance and usage. 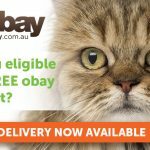 To facilitate such a service in Australia, we have now made Obay available to your practice, where your clients can purchase Antinol® and you receive ongoing commissions whenever they use your unique promotional code to make their purchase. Finally, if you have any technical enquiries regarding Antinol® PCSO-524® then please don’t hesitate to contact our Antinol® Support Team. 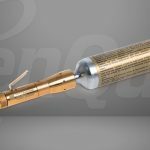 Dr Cybele May and Dr Adele Blow manage technical services for Antinol® PCSO-524® in Australia, and we have a range of technical papers and scientific research from around the world to support Antinol® PCSO-524®. With over 420 veterinary practices now stocking Antinol® PCSO-524®, we are well on the way to improving the quality of life for many Australian dogs through the effective management of arthritis. 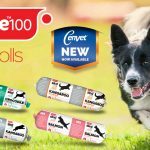 This is wonderful news for both our canine patients and pet owners, so thank you again for supporting such a great product.